Welcome to the Children’s Round-Up for February 2019. There were thirteen books reviewed this month, with a fairly even distribution between books for younger and older readers. Rhiannon Williams won the Ampersand Prize in 2016 for ‘Little Ott Colter’, which was this book’s predecessor. 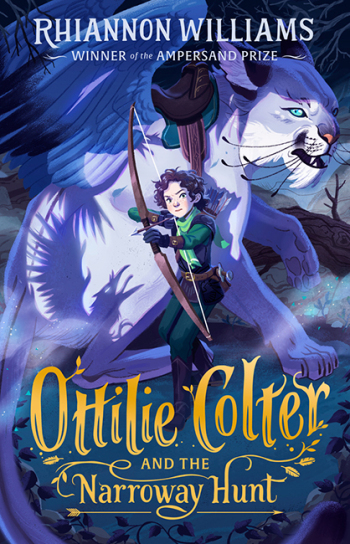 Heather initially read Ottilie Colter and the Narroway Hunt as an e-book, borrowed from the library, but loved it so much she purchased her own hard copy. In her review, Heather says the book has action and suspense and camaraderie within a deep underlying theme of challenging gender stereotyping, and being true to who you are. 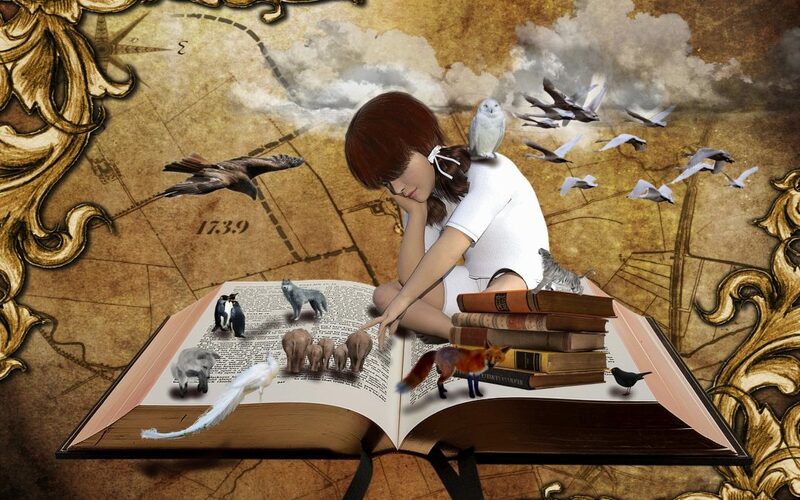 She believes the characters are the heart and soul of the book. If you’re interested in how the book was structured in a ‘writing craft’ sense, be sure to click through to Heather’s catchy review. This exquisite book celebrates the life of renowned children’s author and illustrator, May Gibbs. 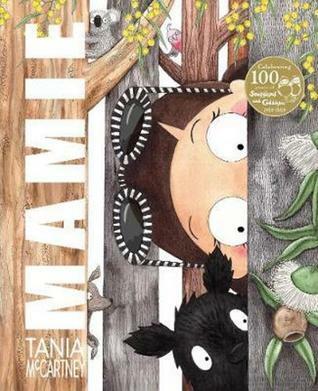 Jess says Mamie is perhaps one of the most unique, inspiring and beautiful picture books she has read in a long time. Mamie is, simply put, an illustrated picture book documenting the beloved May Gibbs’ life. It’s one of many books released as part of the 100 years of Snugglepot and Cuddlepie (1918-2018) anniversary celebration, but is perhaps one of the most important, and certainty the most unique. Mamie explores the very essence of May Gibbs’ life and is one of a handful of texts out there that seeks to know the artist – her life, passion, process and art – beyond the scope of her celebrated literature and artwork. It’s a documentation, a fascinating narrative and a beautiful story of hope, imagination and inspiration. For more interesting facts about May Gibbs’ life, and further praise of Mamie, click here for Jess’s informative review. Jess says Lottie & Walter is a beautiful picture book with heart and soul that is sure to capture the attention of readers worldwide. Lottie is afraid of the water, thanks to a crippling fear of what might be below the inviting glass-like surface. It makes swimming lessons a particularly tough challenge, as Lottie sits on the edge of the pool wanting desperately to swim with her peers and the swim instructor, but too afraid to dip even her toes in the water. 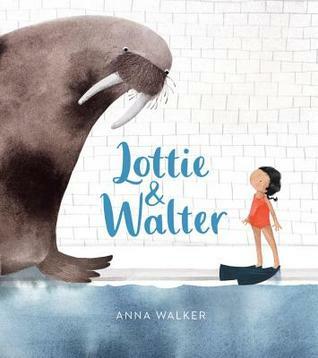 Lottie & Walter is a story about irrational and crippling fears; the ones we all have, that we know don’t make any sense, but simply cannot shake. For Lottie, it’s a deep seated fear of sharks and the unknown, waiting below the water’s surface. It’s also a story about unwavering friendships, be they fictional or real, and the power they have of opening our minds to new possibilities and experiences. Walker’s illustrations are spot on. She has a knack for great detail delivered in simplistic ways, to not overload the reader so that the story isn’t lost in the process. She does this through the fantastic use of white space, allowing the story itself to stand up and speak to the heart of the reader, while the illustrations create the perfect accompaniment for a fresh story that both entertains, and reassures our darkest fears. All in all, Lottie & Walter is a super cute, adorable and easy to relate to picture book. With swimming an essential skill in Australia, Jess can’t help but think this is one of the most unique stories to help overcome a very real problem that a lot of children face daily. Based on eyewitness accounts, this fifth title in The Secret Histories series uncovers secrets the colonial government hid for over 200 years. 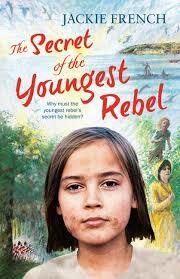 Using the first-hand account of Frog, a young orphan from the streets of Parramatta, The Secret of the Youngest Rebel looks specifically at the Castle Hill convict rebellion, which took place in March 1805, in the still young Australia. Situating the audience in the early 1800s in the Parramatta area of Sydney, a scene of uprising, dissidence and a fight for daily survival defines this novel. For Frog, life is not easy. Frog subsists on little food and relies on stealing, scraps or coins tossed by sailors. When Mr Cunningham takes a shine to Frog, things change dramatically. Amanda enjoyed the gentle friendship and the way in which Mr Cunningham took Frog under his wing. Frog was a great character to follow and is fully fleshed out by French. There is enough mischief, adventure, bravery and loyalty to Frog, which will be sure to appeal to young readers. The action, chivalry and fearlessness displayed by Frog and those who take part in the rebellion makes this book a memorable one. There are also extensive Author’s Notes at the end of the novel. Amanda asks us: ‘Do you know what a diprotodon is?’ She didn’t, until she experienced the wonderful and subtly educative new picture book from Jackie French & Bruce Whatley, taken from the concept by Ben Smith Whatley. With the enticing tagline ‘Ice Age meets Diary of a Wombat’, Amanda said she couldn’t wait to be acquainted with Dippy, the prehistoric wombat. The diprotodon, or ‘two forward teeth’, was the largest marsupial known to have ever lived. It became extinct some 50,000 years ago and is the inspiration for Dippy’s Big Day Out. A friendly wombat-resembling animal, all Dippy seeks is a happy set of friends, a comfortable place to sleep and an abundance of food to eat. In his search for all three of these things, Dippy takes a great adventure, meeting plenty of new friends and encountering some mishaps along the way! The spaced out text is ideal for the early childhood reader. Every word counts, and there are opportunities for the audience to engage in some interactive moments within the book. The careful insertion of rhyme into the text adds further appeal, and the illustrations compliment the text perfectly. 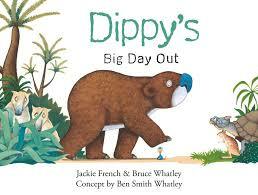 Dippy’s Big Day Out is a book for the whole family to read together and enjoy. 52 Mondays is set in the 1960s, during a time of no Internet, no computer, and cheap ice creams. Seatbelts don’t exist, and teachers still write in chalk. After reading a book called Hitty, Anna longs for a special doll, an antique doll, that stands out from her others. But Anna’s life is also filled with school, friends and family traditions brought over from Europe. Anna’s family is Jewish, and traditions are important to them, though Anna and her cousins and siblings don’t always understand. These aspects are woven through the book easily, as Anna continues her search for the perfect doll. 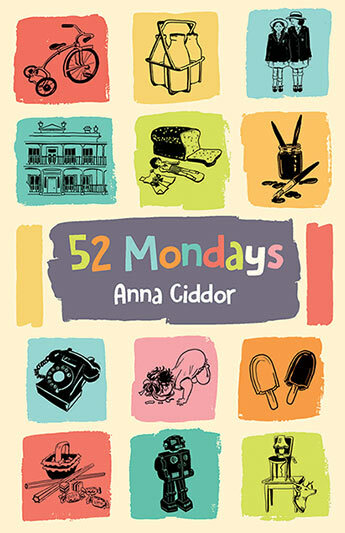 Based on author Anna Ciddor’s own life, 52 Mondays looks at a post-war Australia through the eyes of a child, and takes away the complexities of adult life. It is a charming story about childhood, and the desires and mistakes made, such as putting an ice cream in your bag, not knowing it would melt, and finding that one thing you want more than anything in the world. Ashleigh says this was a very enjoyable book, and even though the story seemed simple and straightforward, there were aspects of it that hinted at more happening behind the scenes of Anna’s life. It was nice to read about a quieter period of time seen through the eyes of a child and her family, and what the world is like to them. It shows a post-war Australia, a relaxed sort of story, where there are no threats mentioned. It is the story of a childhood, and the things Anna enjoyed, and the mischief she got up to with her sisters. This is the third book in the Kensy and Max series. After their London home is destroyed, Kensy and Max are sent to Sydney on an undercover mission. There, they must befriend Ellery and Donovan Chalmers, and find out what their parents are up to and why. 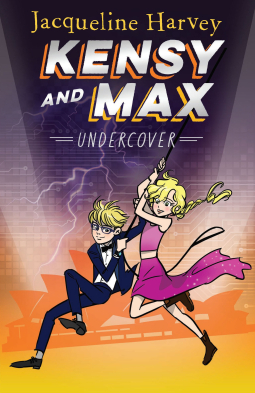 Ashleigh says this is the kind of series she wished she had as a kid, because Kensy and Max are not typical kids, and not typical of what we expect a boy and a girl to be – they are unique and filled with faults, and this is why they are great characters. They are allowed to be who they are, and to make mistakes. Also, being able to travel the world so much is pretty cool, and training to be a spy is a childhood dream of many kids. The mystery and all its elements are written so well and work together to create a mystery that even our adorable twins have no idea they’re going to uncover. But when they do, will it be one they wish they had, or one that is best kept secret? With twists, turns and secrets, this series is an excellent spy series. Jonathon Shaw provided four of the thirteen reviews this month. Can You Dance? by Sally Morgan. Illustrated by Kathy Arbon. (Ages 0 – 5). This board book was produced by the Indigenous Literacy Fund. The reader is asked if they can dance in imitation of a series of native Australian animals. Jonathan says that while a lap read is quite pleasant, the book cries out to be read to a group of small people who can flap their wings like the angry magpie, stamp their feet like the wombat and so on, until the last page is pretty much a wild rumpus. Baby Wombat’s Week by Jackie French & Bruce Whatley (Ages 1 – 4). This is a sequel to Diary of a Wombat that won hearts and prizes all over the place in 2002. Who doesn’t love a wombat? And this one’s a baby. The images are probably too complex and the humour too sly for tiny people, but this is wonderful. Lucy Goosey by Margaret Wild & Ann James. (Ages 3+). Another perfect picture book. Ann James’s little geese (goslings doesn’t seem the right word) are very sweet, and the story about Lucy, who is enjoying her life but doesn’t want to go flying because it’s so scary, is suitably reassuring: in the end she finds the courage because her mother reassures her she will always be there. So far, Jonathan’s granddaughter seems to like pointing at the pictures most, but Jonathan likes the word ‘whiffling’, for the sound made by the wings of grown-up geese. Thank you for linking your reviews to the AWW database. Each and every month I’m impressed by the scope of the books reviewed. 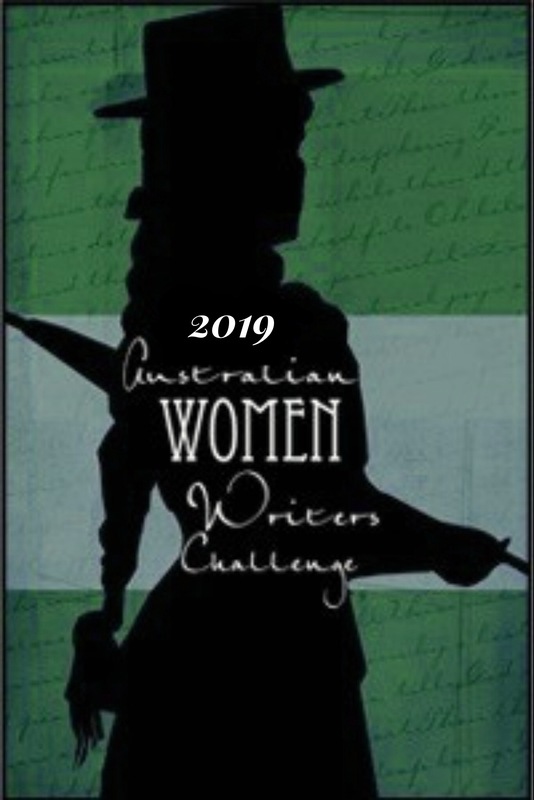 We are lucky to have so many talented authors in Australia. Unfortunately I won’t be able to curate the Children’s Round Up next month, but please keep your reviews coming. I will include them in the next Round Up, due out on 21 May 2019. In awe of words from an early age, reading, writing and banter have become an obsession of mine. As a mother of two (who are growing up faster than I’d like), I am passionate about instilling a long-lasting love of reading in children. I am excited about joining the AWW team and sharing my love of children’s literature with you. This is a good haul for children’s! Thanks Marie. It’s so good to see! What a great selection, I’m always noting down books to buy my niece. Thanks, Claire 😊. I find some great books for my kids through these reviews too! Hello, I’m wondering how I might submit a review I received for my children’s story, please? It’s fairly easy to do.